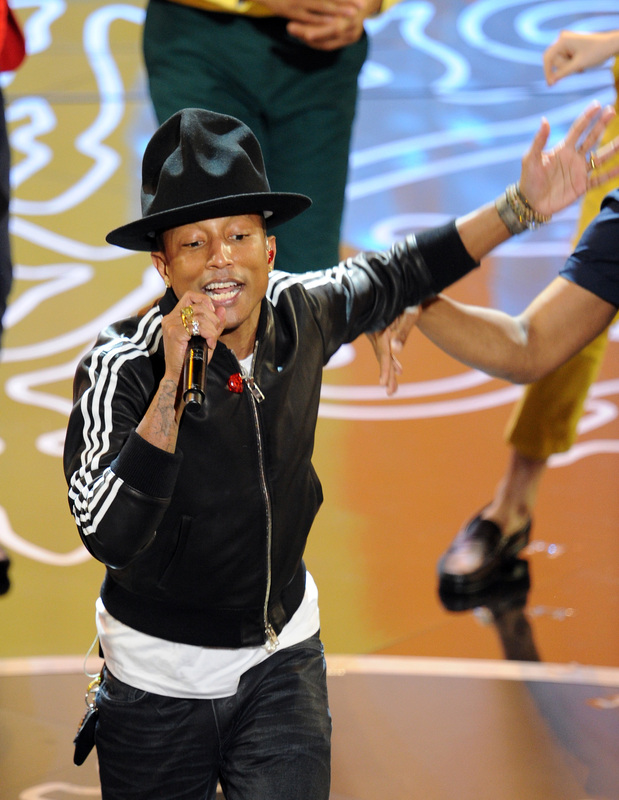 Is Pharrell's "Happy" Or 'Frozen's "Let It Go" Already The Most Overplayed Song Of 2014? How many times have you heard "Happy" or seen a "Let It Go" cover video in the past week? Probably at least 10 more times than you wish you had. Because THEY ARE EVERYWHERE and even though we love a little girl covering Idina Menzel's Oscar-winning hit from Frozen , we're kind of done with it. And don't even get us started on Pharrell's record-breaking "Happy" which seems to be everywhere — including places where "Let It Go" hasn't even gone yet. So after only three months of 2014, which of these two Oscar-nominated songs is making our ears bleed? They've been everywhere and they're showing no signs of stopping — with new viral covers popping up every other day, breathing new life into our desire to never go on the Internet again. So we've come up with a system for determining which song has been so overplayed that it needs to go ASAP and which one is still amusing us enough to let it fade peacefully into oblivion. There are six categories of evaluation, based heavily on YouTube, that we've used to come up with which of these songs has been so overplayed in just three short months that we're losing our minds. Those little Beatz Pill guys are really cute but just stop. Before Diddy changed his name back to Puff Daddy — unfortunately, this commercial isn't a mirage. You're actually hearing "Happy" at least five times during primetime TV hours and yes, it's the worst. Are you ready for the biggest shocker of all time? When you search "Pharrell Happy Cover" and "Frozen Let It Go Cover" on YouTube, "Happy" comes out the winner. I bet you're surprised, considering your Facebook feed is full of nothing but people posting "Let It Go" covers with captions like "HOW TALENTED IS SHE?!" and "HOW CUTE IS THIS?!" and "THIS IS SO COOL!" But, search results don't lie. According to the search, "Happy" turns up a whopping 4,160,000 results while "Let It Go" only turns up 3,520,000 results. This guy really feels your pain. We can all agree that kids are adorable, right? And sometimes when they sing it's funny and cute and we're amused — and sometimes when they sing the same song, 9,000 times over, we wish we could crawl into a dark hole and never come out. I'm sorry, but it's just the truth. And if there's one thing we've seen plenty of at this point, it's kids covering "Happy" and "Let It Go". So which one loses this round? Honestly, I can't even pick a loser for this category because I can't believe she chose both of these songs. So let's call it a TIE. As of Thursday, "Happy" is the number one single being downloaded on iTunes with "Let It Go" coming in close behind at number three. So what does that mean? That there's at least 100 more people playing "Happy" on repeat than "Let It Go" and there's probably an equal number of parents everywhere that wish their car radios would explode so they never have to hear either of these songs again. On the other iTunes charts — "Happy" is the number one downloaded music video and Frozen is the number one downloaded soundtrack (it includes "Let It Go, obviously) and number two on the Top Movies list. So how do these numbers weigh-in in this tie-breaking category? Thus, the most overplayed song so far in 2014 is Pharrell's "Happy". We could still do without all of those "Let It Go" covers though — there's only one Adele Dazeem.